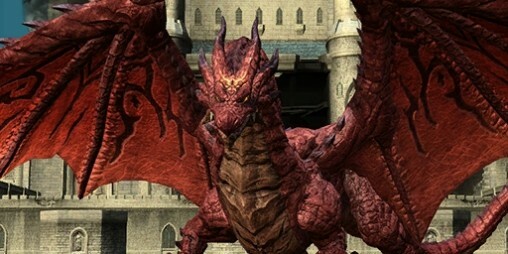 In the first Episode 5 Raidboss Emergency Quest, Erythron Dragon has been resurrected at the Old Cuent Castle. Repel the Evil Red Dragon with the assistance of the Maiden of the Sword and the Laconium Sword. Quest Objective: Repel the Dragon! The Laconium Sword is a gimmick in the Quest which you can access to pick up. There will only be three Laconium Sword to start off, but 12 more will appear at the final phase. 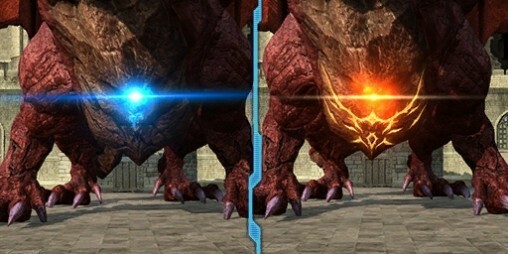 Certain areas will occasionally glow blue on the Dragon. Equipping the Laconium sword, will grant access to the Buster Divide PA. 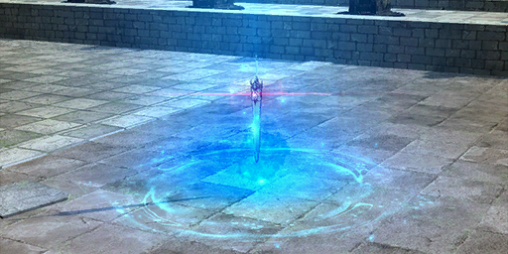 Unleashing this attack, fully charged, will break open a weakpoint on the glowing areas.